Rules Guy: When can a player be penalized for testing the putting surface? The Rules of Golf are tricky! Thankfully, we’ve got the guru. Our Rules Guy knows the book front to back. Got a question? He’s got all the answers. In the final match of a big local amateur tournament, my opponent, “Chad,” would mark his ball on the green and then roll it along the putting surface to his caddie, presumably for cleaning. I didn’t call him out on it until finally he rolled his ball in the direction of a long eagle putt. I protested to the Rules official, citing Rule 16-1d, which covers testing the putting surface. The official chose only to warn Chad. Naturally, Chad nestled the putt up for a gimme birdie, which won the hole, and I eventually lost 1 up. Afterward, the official said there wasn’t proof of intent, but I think Chad knew exactly what he was doing. What’s your ruling? —MATT STRUBE, SAN FRANCISCO, CALIF.
Is it legal for a player to roll his ball along the green to his caddie? Rules Guy has the answer. Suspicious? Maybe. Still, the ruling is certainly defensible. Per Decision 16-1d/2, the Rules official indeed had to determine intent before deciding whether to penalize Chad with loss of hole (or two strokes in stroke play). Rules Guy: Is it legal to write putting tips on my putterhead? Was Chad purposely testing the putting surface, or was he simply not thinking? As any criminal lawyer will tell you, intent is notoriously difficult to prove. Chad could certainly argue — honestly or dishonestly, who knows? — that the rolling is simply a mindless habit, and that he had no designs on gauging his upcoming putt. In retrospect, you would have been better off bringing up your concerns about this maneuver the first time it happened — the official could then have had a quiet word with Chad to stop the rolling in its tracks. While this may not be the verdict you were hoping for, Rules Guy leaves you with this thought: If Chad wasn’t playing straight, the golf gods almost always eventually find a way to dispense justice. Got a rules question? Of course you do! 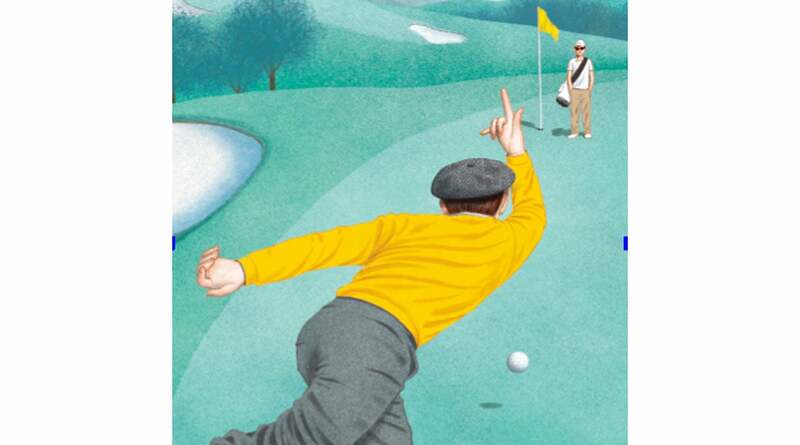 Whatever it may be, send yours to [email protected] and the question may be answered in an upcoming issue of GOLF. Until then, play by the Rules!